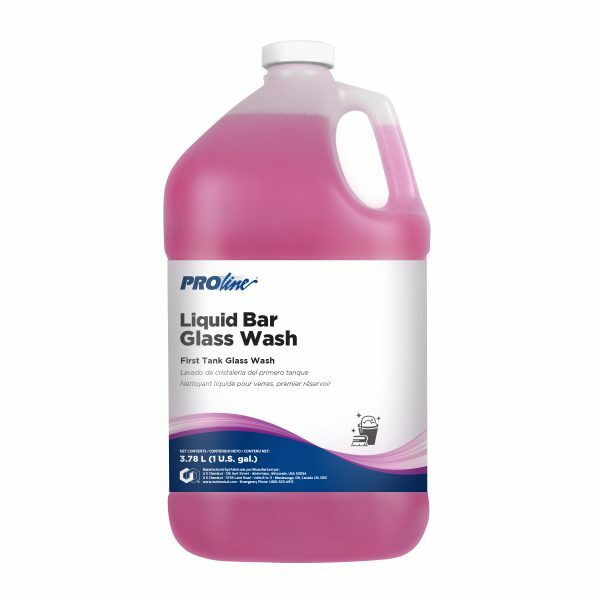 Liquid Bar Glass Wash is a first tank bar glasswashing detergent that leaves glasses sparkling clean and grease free. It is effective for rotary or stationary brush operations, and is compatible with all commonly used last tank sanitizers. This product can also be used for care of windows, mirrors and other glass surfaces. It is mild to hands and leaves no residual odor.